Your Super Fast Video Converter. All-round Video and DVD Solution. Aimersoft Video Converter Ultimate can be used as an online video downloader & screen recorder. It helps you download videos, audio files, or playlists from online sharing sites. You can download and convert the media files to any format afterward. 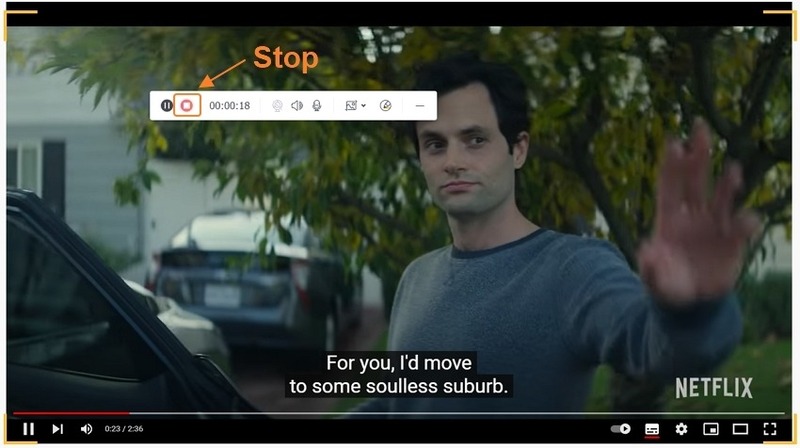 The following guide will show you how to download online video/playlist and record video from YouTube, Facebook, Vimeo, Dailymotion, etc. Install and open Aimersoft Video Converter Ultimate on your Window PC or Mac. Switch to the Download tab. Open the video that you want to download from YouTube, Vevo, Vimeo or other sites. Copy its URL. 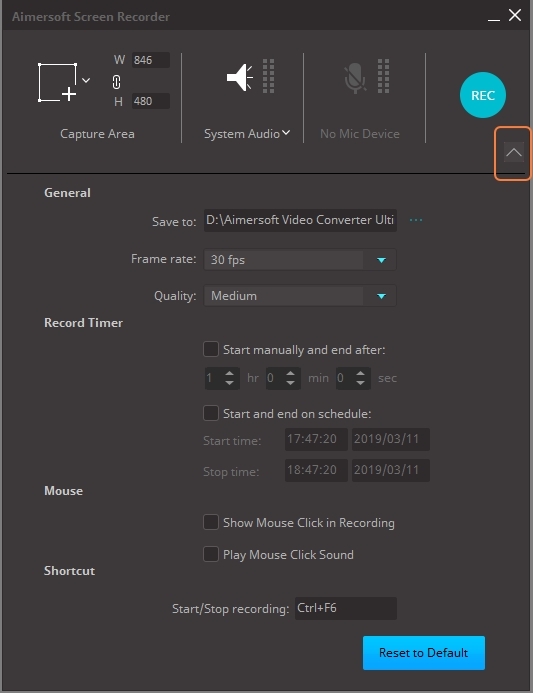 Return to Aimersoft Video Converter Ultimate and click the +Paste URL option. The program will detect the URL you copy, and will show the video information in a pop-up window from where you’re optional to choose the output resolution or bit rate. 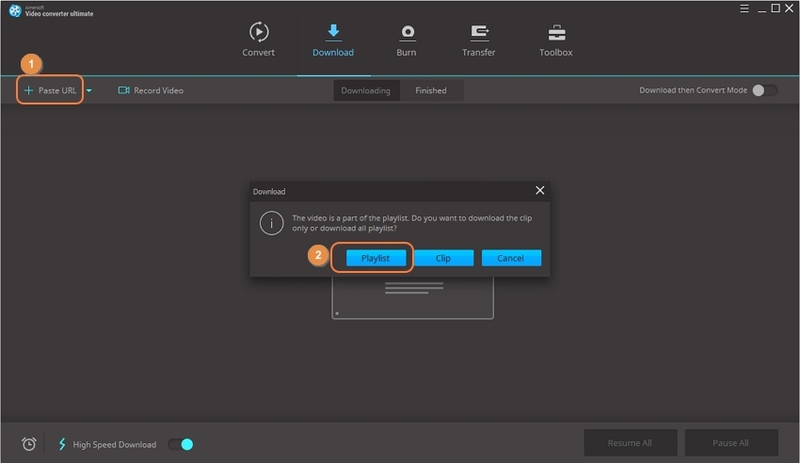 Hit the Download button to start downloading the online video. It will download it in MP4 format by default. If you want to change the format, you can turn on the Download then Convert Mode option, and choose an output format there. 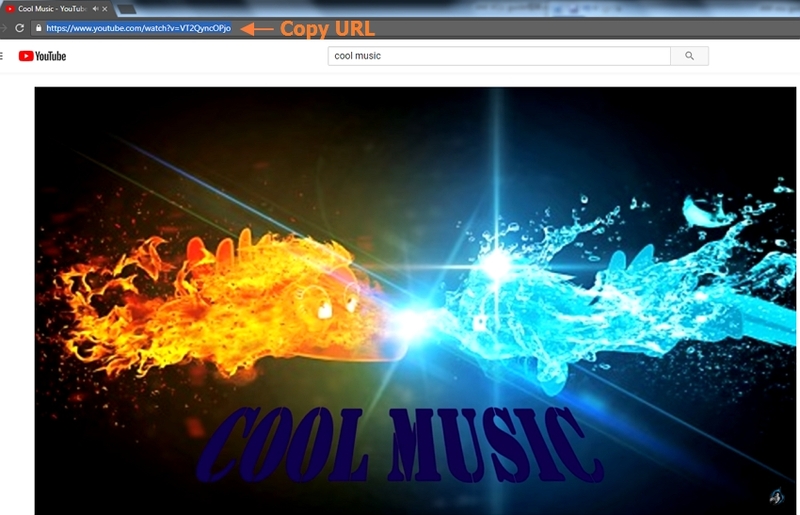 By choosing MP3 as the output format, you are able to download video to MP3 in one click easily. Tips: By turning on the High Speed Download option, it will download videos at super-fast speed. Besides, you can download more than 1 video at 1 time. Finally, check the downloaded video from the Finished tab. Visit YouTube and search your wanted playlist. 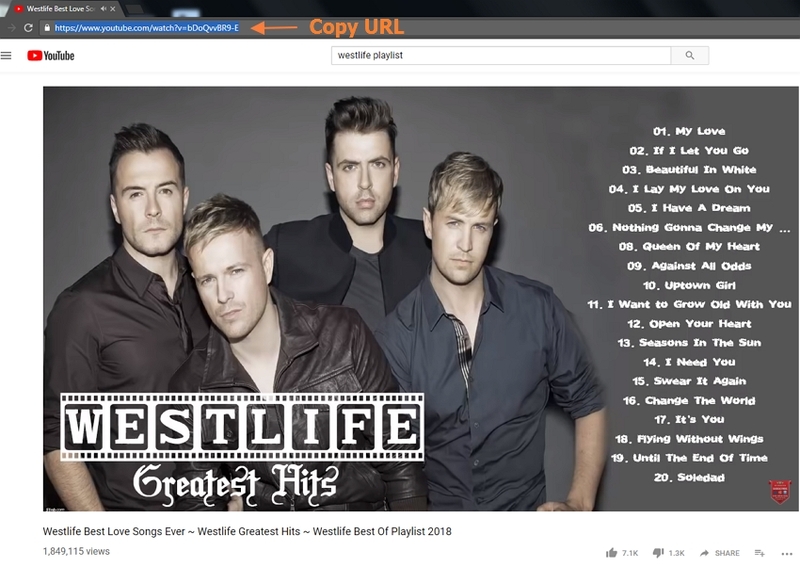 Then copy the playlist URL. 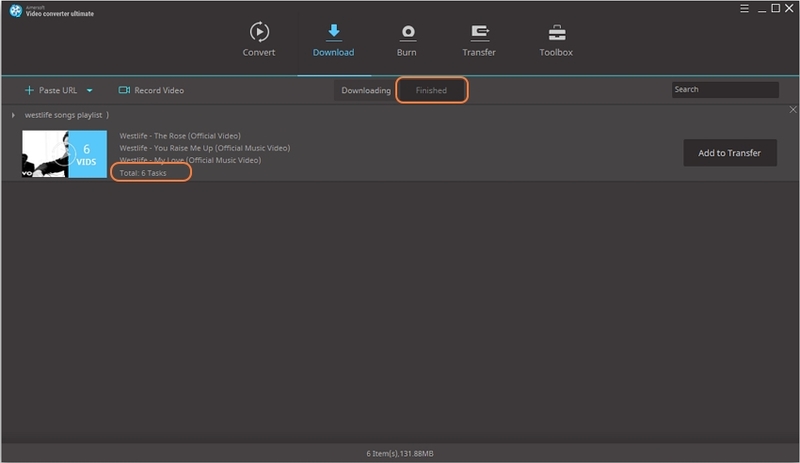 Click the +Paste URL option in Aimersoft Video Converter Ultimate. And then click the Playlist button on the pop-up window to confirm the process. Next, it will show you all of the items to be downloaded. 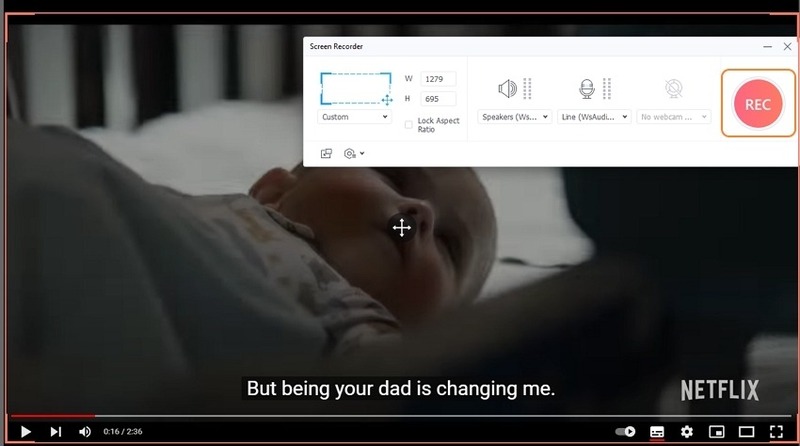 You can deselect the unwanted ones, change the video quality, or choose audio as the output format. After that, you can hit the Download button to start download the playlist. Remember to turn on the High Speed Download option to shorten the waiting time. You can see the progress bar is moving. By clicking the drop-down icon on the left, you can see the progress details for each item. When it finishes the process, click the Finished tab to view the downloaded videos. 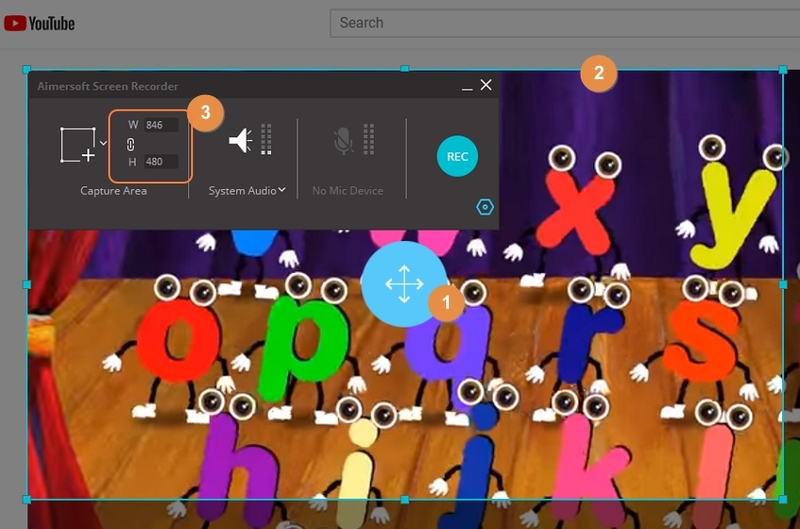 You can open the folder on your computer for playback anytime. 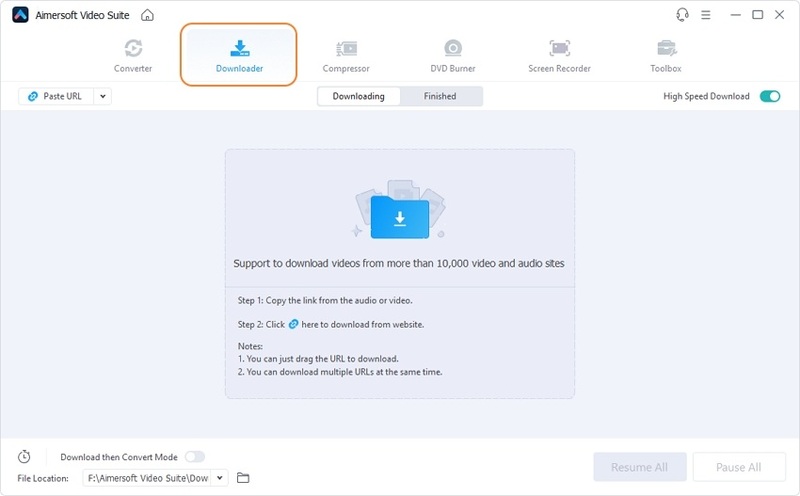 If you want to get a video from some site which doesn’t allow to be downloaded, you can choose this method to capture videos. 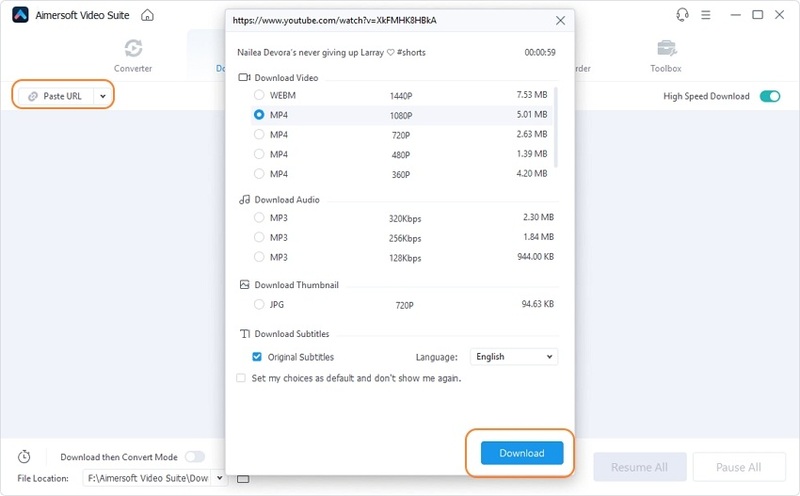 Under the Download tab, click the Record Video option. Now you can adjust the frame for recording video by drag the cross icon/edge of the frame or set the fixed width and height for the video. By clicking the inverted triangle, you will get more options to choose for your video. When everything is set, click on the REC button to begin recording video. You will be given 5 seconds before the video recorder takes action. You can click on the Stop icon or press the ESC key to finish the process anytime. Now you can find your recorded video in the Finished tab. 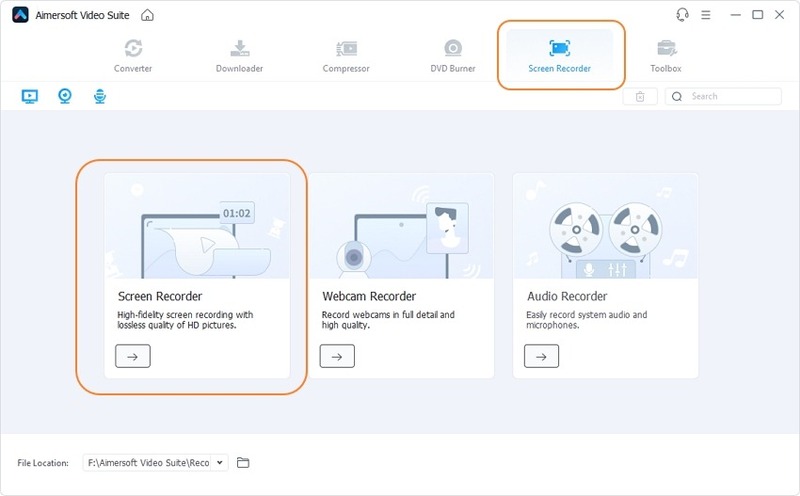 Open the folder to locate the recorded video on your computer.